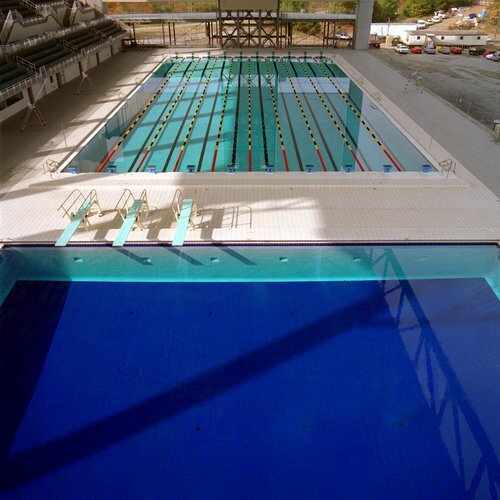 The 1996 Summer Olympic Games were hosted in Atlanta, GA. 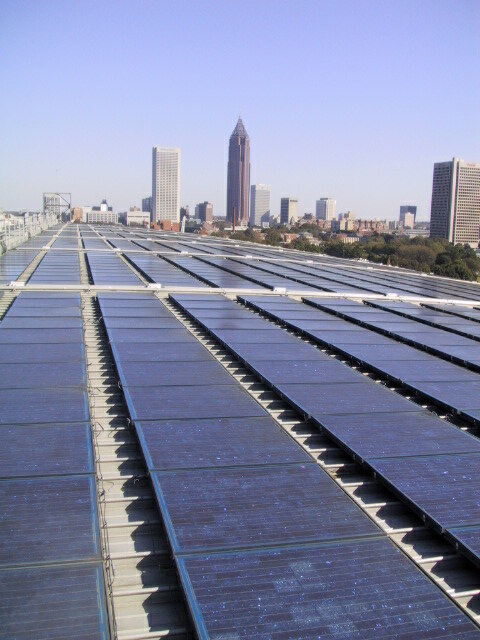 The competition swimming pools were heated by large PV and solar thermal arrays mounted on the roof of the Olympic Natatorium at the Georgia Institute of Technology. Giving rise to the first solar-powered Olympics, this technology was an early display of the USA’s commitment to renewable energy. Solar Design Associates provided design and engineering support to the Olympic Village design team. SDA also designed a custom, arched-glass PV canopy as the entry portal to the Olympic venue to showcase solar technology. The canopy featured custom, large-area PV modules with a clear interlayer to allow sunlight to shine between the individual solar cells. This was the first application of “electric glass” as overhead architectural glazing in the US. 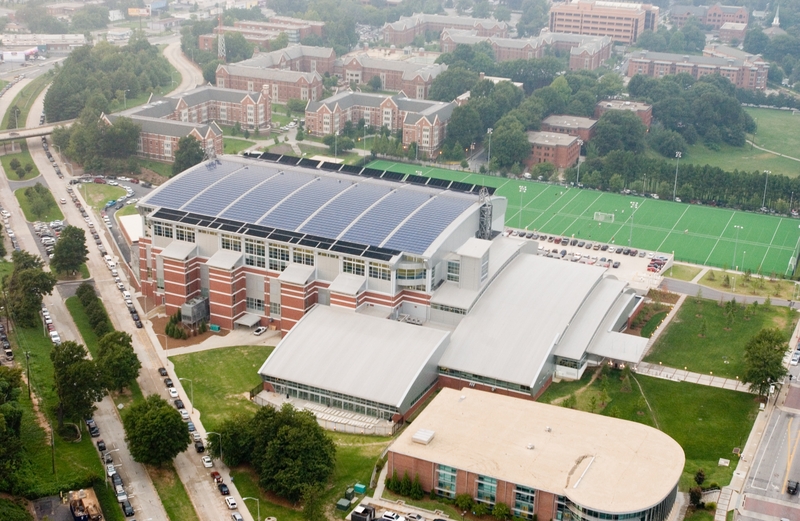 The rooftop PV system included a central DC-to-AC inverter that fed the 3-phase solar-generated power into the campus distribution network. 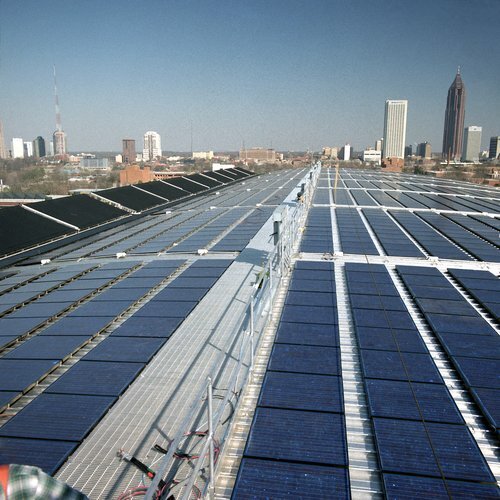 The 1996 Summer Olympic Games in Atlanta were the first to be solar-powered and the Olympic PV array was the largest roof-top solar system in the world when completed.